Spotify Launches in Japan, the Largest Music Market Outside the U.S.
Spotify launched in Japan today, 18 months after it opened its first offices in the country (via TechCrunch). The streaming service has been in protracted negotiations with record labels to flesh out rights for the region, allowing rivals like Apple Music to get a head start in the country's hugely lucrative market. Music sales in Japan are estimated to be almost $3 billion a year, making it the second largest market outside of the U.S. One potential obstacle for streaming services is that people in Japan prefer to buy and own music on CD rather than purchase digital files, although the convenience of streaming could sway consumers and allow services like Spotify to build a significant subscriber base in the country. 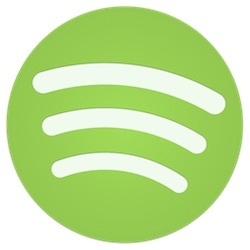 Spotify also becomes the only mainstream streaming service in Japan that offers a free-tier option for users, which may have been a factor in its protracted negotiations with the music industry, but could serve to persuade Japanese consumers to give streaming a try over competitors. Back in March, Spotify launched in Indonesia, the company's first big expansion in Asia for some time. It first entered the continent in 2013 with launches in Hong Kong, Singapore, and Malaysia, but had been relatively quiet in the region since. Spotify has 40 million paying customers compared to Apple Music's 17 million paying customers. Yesterday it was reported that Spotify is in 'advanced talks' to purchase SoundCloud, which has upwards of 175 million listeners per month and could provide a huge influx of users to the service, giving it an edge over Apple. Good for them. I don't want to see Apple monopolise the streaming market in the same way they dominate the download market. They have shown a total lack of commitment to fixing and improving iTunes. I wonder if that means I'll be able to try streaming Japanese music. It's a bit hard to get Japanese music legally in the US without buying Japanese iTunes gift cards or just streaming off of youtube. Apple also just released that itunes music card that you can buy to get a 1 year subscription to Apple Music for 9,800 yen. I was thinking about trying it, but I generally prefer to listen to music on my devices and don't really stream that much. I'm not sure if you need to have a JP IP address for them though. I'm not really a fan of the Amazon Prime Music app on my Mac though. It's not too good, IMO. The iOS app is a bit better. I attempted that just last night when it went live. Apparently, your Spotify login does not work when logging into Spotify Japan. You need a special Japan-only account (currently invite-only). Spotify will only let you listen to Japanese music while on a Japanese IP address (free account) or you must have a billing address in Japan (Premium). I've tried it via VPN, exiting in Japan, my account will not let me change countries and I have access to only the same stuff I have with my US account. Although I signed up for the invite, nothing has come in yet. I agree. Competition drives the amount of effort companies put into their products. No competition = no effort = no improvement. And Spotify is some darn good competition. This is true. I read that Japan’s consumers covet the album art and other fan novelties that accompany the CD.